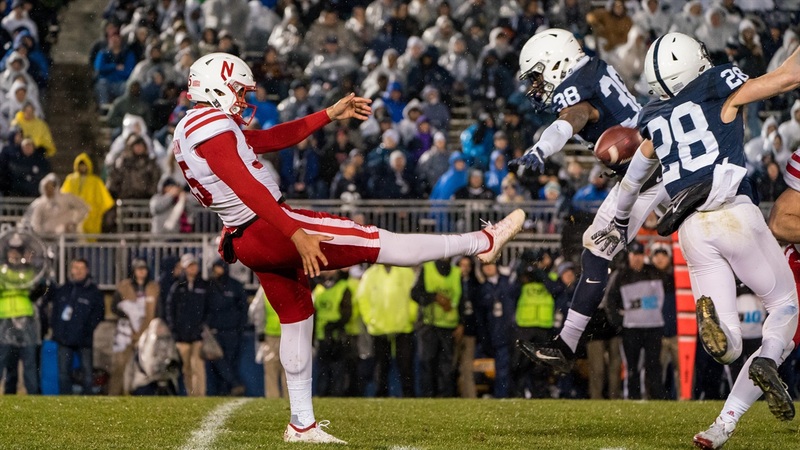 On Wednesday, Nebraska punter Caleb Lightbourn was one of 27 specialists added to the 2018 Ray Guy Award watch list. Presented annually by the Augusta Sports Council, the award goes to the nation’s top collegiate punter. The Big Ten appears to be well represented, with seven of the 27 players named. As a sophomore, Lightbourn upped his overall average from 39.7 in 2016 to 42.1 yards per punt in 2017 on fewer attempts. On 124 total punts in two years, he forced a fair catch 33 percent of the time and downed opponents inside the 20-yard-line another 31 percent of the time. Even better, he’s improved in that regard from his freshman season (combined 55 percent) to his sophomore year (combined 73 percent). Last season, he placed 21 of his 59 punts inside the 20. Lightbourn’s freshman season was rather up and down, but the Washougal, Wash., native steadied things considerably as a sophomore. He’ll enter into his junior season in 2018 as the team’s top punter as well as its kickoff specialist after the graduation of kicker Drew Brown. The Ray Guy Award committee will announce ten semifinalists for the award on Nov. 15, with the three finalists announced later on Nov. 20. The award will be presented to the winner during The Home Depot College Football Awards show on ESPN on Dec. 6. He's the fourth Husker so far named to a preseason award watch list, joining wideouts Stanley Morgan Jr. and JD Spielman (Biletnikoff) and tight end Jack Stoll (Mackey).